two large rivers meet, and is spliced through with rivers, islands and bridges. 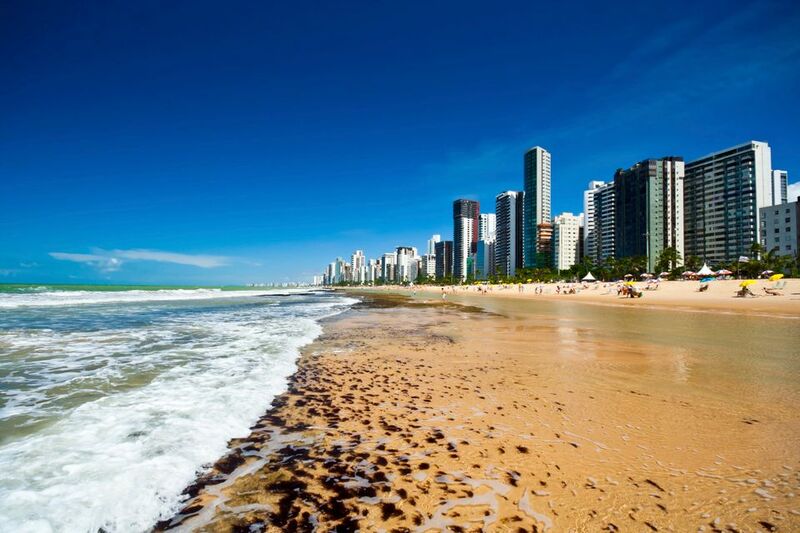 This unique layout has resulted in Recife gaining the title of ‘Brazilian Venice.’ The city’s most popular attractions are its beaches, especially Boa Viagem Beach, which is widely considered one of the most beautiful and fun urban beaches in the world. Another popular beach is Porto de Galinhas, home to the wildest parties on New Years and Carnival. Numerous museums dot the city, many having to do with Recife’s colonial past. Also close by are the Fernando de Noronha Islands, a protected archipelago just off Recife’s cost. Large city in the northeast of Brazil. Tropical climate with 2 seasons - wet & dry. We enjoyed just walking around and seeing the locals on a Saturday - market day. The cruise terminal is not actually too far from the main action but the neighborhood next to the port is kind of gritty. Hot weather all year long. Famous destination in Brazil this city gets totally packed around january, february and march specially because of the carnival. Recife is a great place to live. Weather and temperature are stable all year around. Locals are very kind and very nice hosts. I lived there for four years. Wouldn´t doubt to go back there, anytime..